Lots of people ask me whether I think the World Cup will be a success and I usually answer in two parts. Yes, it will be great for a month and the people who come here will have a fantastic time. But when they leave, Brazilians will be left with the bill, the shocking lack of a legacy infrastructure, and a tragic feeling, especially if the home side wins, that everything in their country is hunky dory. The next question is often, Why do think it will be great when you have all these criticisms? I found the perfect answer to that question last week at the World Cup draw. 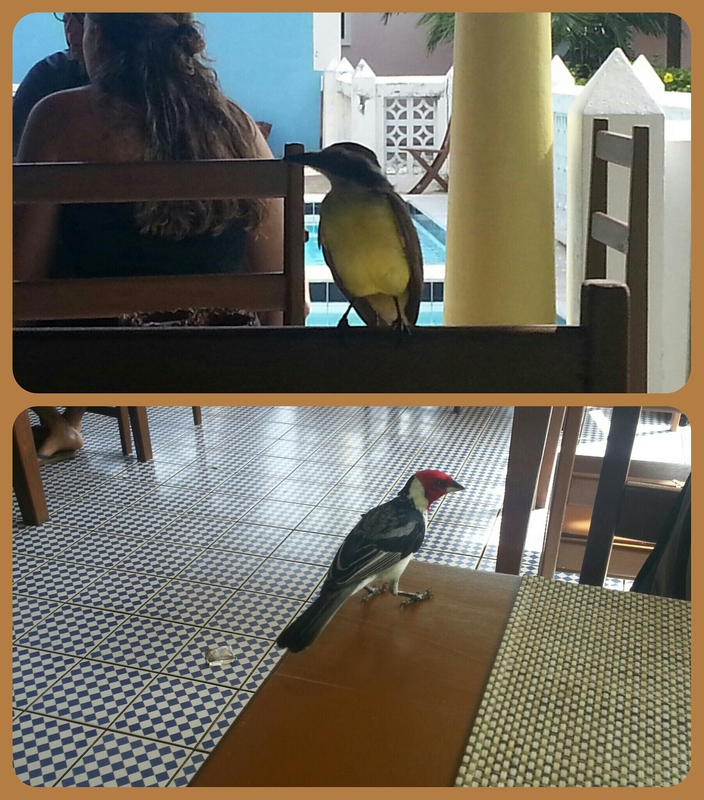 Every morning at breakfast dozens of colourful little birds flew around the hotel’s outdoor dining room. A colleague said he saw a family of meerkats nearby. Brazil can be a hugely enchanting country and Brazilians have an undeniable charm. Sitting down to breakfast and seeing wildlife up close is an unforgettable experience for a visitor. Fans come for the football and seeing the World Cup in the game’s spiritual home will be a dream come true for many. Put that together with friendly natives, beaches, sunshine, music and one month-long party atmosphere, and that’s more than enough to send a visitor home enraptured with their South American stay. I’ve no doubt those will be the memories most people will take away with them. 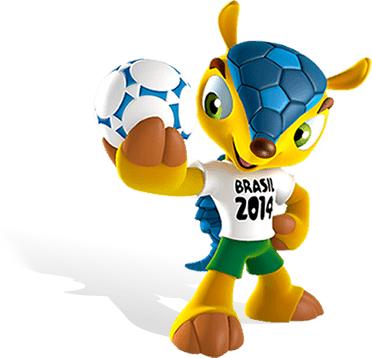 Brazil has chosen a three-banded armadillo as its mascot for the 2014 World Cup. The Tolypeutes tricinctus has a blue shell and is indigenous to the Caatinga scrub region of northeastern Brazil. The small mammal is one of the dozens of endangered species that live in Brazil. Brazilians will now be invited to name the animal – which has its own home page here – and have been given three names to choose from. The World Cup mascot, like the naming of the ball, has been going on for more than 40 years. World Cup Willie was the mascot in England in 1966, Gaucho was the mascot in Argentina in 1978 and Naranjito was used in Spain in 1982. 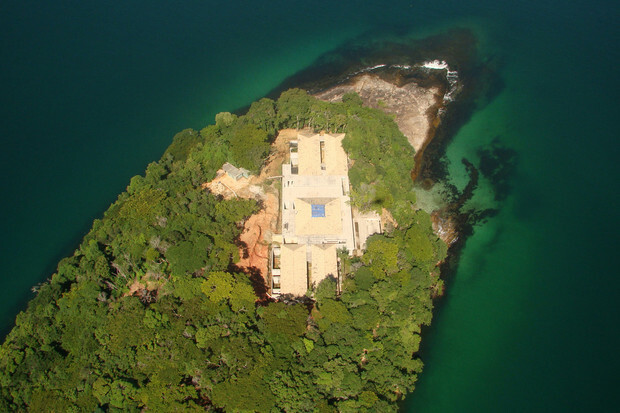 I usually use this blog to plug my own stories but I am making an exception today for this brilliant piece of reporting about how rich Brazilians are destroying the environment to build themselves palatial homes. Some of the most powerful and influential people in Brazil, film maker Bruno Barreto and the Marinho family that run the Globo media empire among them, have consistently flouted the law by cutting down forests, diverting streams, and disturbing rare habitats. All so they can have nice houses. “All Brazilian beaches are public by law. Wealthy Brazilians do whatever they want on land that often doesn’t belong to them, says Eduardo Godoy of the Paraty office of the Chico Mendes Institute for Biodiversity Conservation, which manages federally protected areas. 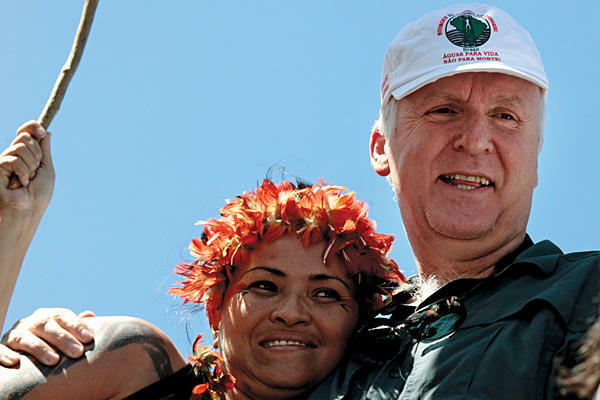 When prosecutors and environmental police go after them (and usually win), the millionaires appeal the decisions in court, knowing that such actions can take years to be resolved. They ignore the original rulings and stay put while their lawyers buy them time to enjoy their ill-gotten gains. Read the whole story here. It’s worth it. Brazil Finds Exploding Zombie Ants. Seriously. Here’s an incredible story from the Amazon about zombie ants whose bodies are taken over by a fungus that forces them to attach themselves to certain leaves before the fungus comes exploding out their heads and reproduces. The fungus “can literally burst out of the ant’s head to begin the growth of the spore-releasing stalk,” said David Hughes, a study researcher from Pennyslvania State University. Hughes said the final bite takes place around noon, meaning the fungal parasite is synchronised with the sun. 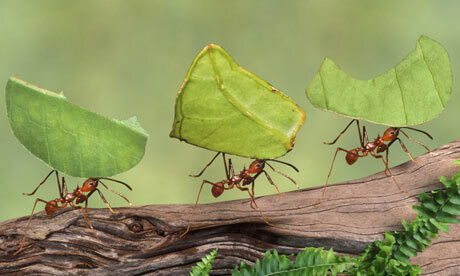 That ensures the fungus has a long cool night ahead of it during which it bursts out the ant’s head and allows the spore-releasing stalk to grow. Having lived and reported in Latin America for 20 years, I’ve done my fair share of disaster reporting. When I worked in Mexico and Haiti it felt like every week I was counting bodies, either from explosions in oil pipes or fireworks factories, or floods, or earthquakes and hurricanes. I remember boarding an almost empty plane to Cancun to try and get in the way of Hurricane Mitch. When we got there everyone else was thronging the airport to get out – and I was bummed out when the hurricane took a left turn at the last minute and hit Honduras instead. I once went to the Guatemalan border to cover floods there and couldn’t find a hotel room because the small town was filled with army officers. My memory of that day was speaking with a young lad who walked miles from his home town with a letter asking for help. And one of my first big stories as a correspondent was just a few weeks after I started at UPI and I spent the night on the office couch doing regular updates to the death toll after an oil duct exploded in Guadalajara. It would be insensitive to describe them as good times, but they were certainly memorable and they helped me become the reporter I am today. I write this because I’ve just spent the last 36 hours writing about the terrible floods in Brazil. I’ve done similar stories it seems almost every year from here and this time the questions I wanted to ask were clear: Why does this keep happening and why do authorities never work on prevention? There’s more answers here in the Christian Science Monitor and here in Time magazine. Back to work after a couple of weeks holiday in Chile and my return was made more welcome thanks to today’s good news for the Amazon and for Brazil’s environmentalists. Data released today shows deforestation in the Amazon region hit a record low for the second consecutive year. Deforestation fell 14 percent in the 12 months to July, according to Brazil’s National Institute for Space Research (INPE). An estimated 6,450 square kilometers of forests were cut down, the lowest yearly rate since annual monitoring began in 1988. It’s good news for all and bolsters Brazil position exactly as the world is negotiating at the 16th Conference of the Parties to the United Nations Framework Convention on Climate Change (COP16) in Cancun, Mexico. P-P-Pick Up a Penguin. A Dead One. In Brazil. If someone told me 10 years ago that I would write several stories about the penguins who make their way to Brazil’s beaches every year, I’d have said they were mad. Penguins and Brazil go together like football players and class or telecoms companies and low rates. But here goes another from today’s Christian Science Monitor. Some 500 Magellanic penguins (like the one pictured) turned up dead on a beach in southern Brazil this week, probably from hunger and exhaustion after they swam north from Patagonia in search of food. They didn’t find the sardines and squid they were looking for and then got caught up in rough seas and high winds that tired them out. The first time I wrote a piece about penguins appearing on Brazilian beaches was in 2000, when I wrote this Monitor piece. It was a bit of a novelty at the time and the story got huge play. My pal from NPR went with me to Saquarema on the Rio coast and he said he had never got such positive feedback on any story in all his life. National Geographic for Kids even published a photo I took of a penguin in someone’s front yard, allowing me to boast I am a National Geographic photographer. On that trip I saw wayward penguins adopted as pets, waddling around town on a leash. I spoke to people who put penguins in fridges to keep them cool (don’t, the shock can kill them). And I even heard of people taking penguins surfing with them on their boards. So penguins are big news in the unlikeliest of places. And everything suggests they will continue to be. In this weird world of global warming and global colding, I’m sure I’ll be writing more about Brazil’s penguins, dead and alive, in the years to come. There’s a good side and a bad side to being at the World Economic Forum on Latin America. I am here in Cartagena working for the forum as a summary writer. I write up short reports about the roundtable discussions. I wrote this about an Amazonian debate and this about Latin America’s growing ties to Asia. The interesting bit is being party to the debates. The participants are the movers and shakers of the Americas, the top people in business and government. Many of the debates are private and off the record and so there are occasional juicy tidbits to be had. But my role here is strictly not as a journalist, so I can’t write about any of it, much less corner any of those involved. It’s frustrating as there are a load of people I’d like to talk to and whom their press officers never let journalists get near. I am missing a golden chance. But such is the nature of the beast.